If that many dudes are walking around sweaty with no shirts on, you know it’s time to change gyms. This lesson in Street MMA is actually a lesson in Gym MMA. Because sometimes you need to fight, where you lift. 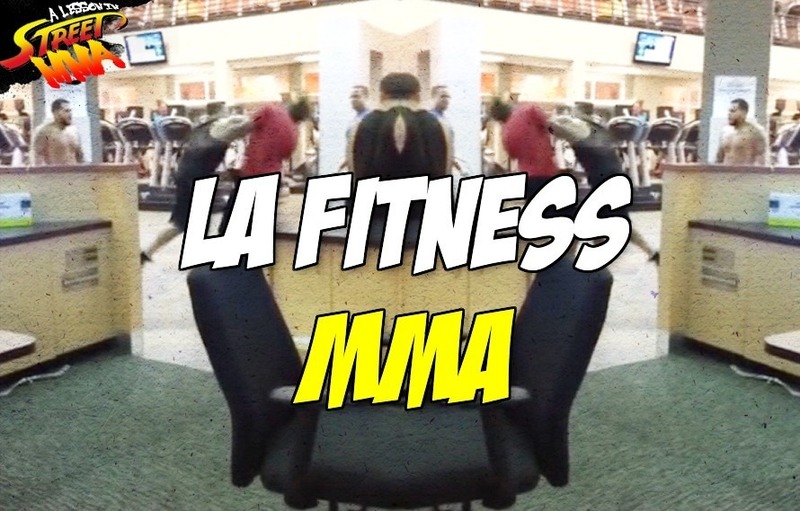 Thanks to these proud members of LA Fitness, instead of watching another replay of SportsCenter you can watch live acts of Street MMA while you get your cardio in. Notice how nobody on the treadmills blink when live Gym MMA sprouts up before their eyes. Check maybe two knockouts, maybe a 2 on 1 fight, maybe a few soccer kicks and definitely some sub-par cam work. On second thought, maybe we should this gym.